Boston has had a change in the bullpen, and will for the next few weeks. 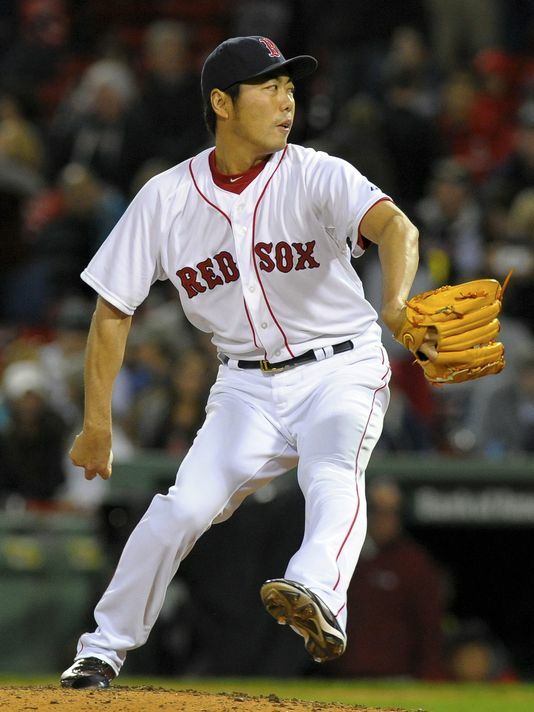 Craig Kimbrel will be out 4-6 weeks approximately, and Koji Uehara will fill in. Uehara is familiar with this role, and he is an immediate add if you haven't already. Uehara isn't having the same success as last year, but a 34.8% strikeout rate, and opportunity makes him a solid add. Boston also made a move for Brad Zeigler, which leaves the door open in Arizona. Daniel Hudson and Tyler Clippard will be the main beneficiaries, but Clippard should "probably" be the closer, according to manager Chip Hale. Probably is the word we want right? Clippard has a 30% strikeout rate this year, and a 3.66 FIP. Much like Uehara, Clippard is a guy to grab. Wade Davis was reinstated from the DL, and everything will remain like it was prior. He has been stellar as usual, with a 1.23 ERA, and 19 saves. Kelvin Herrera will go back to his usual role. Kevin Siegrist was a top of conversation before going to the DL, but is back now, and is behind Seung Oh. Oh has two saves this season, and is coming off his first loss of the year. He has a strong 11.8 K/9, and a 1.73 FIP. If he is still floating around, go ahead and grab him. The Oakland bullpen is a mess, as Sean Doolittle went down with a shoulder issue. He could begin playing catch this week, but it is still some time away. Ryan Dull stepped up in the setup role, but if Ryan Madson continues to struggle, Dull could step in. The Houston series was very up and down, allowing four earned runs, but allowing two saves. He has an average 7.2 K/9, and a 4.35 FIP. Dull has a 3.22 FIP with a 1.94 ERA. His 27.1% strikeout rate is also much higher than Madson's. This could be a situation to keep an eye on.